InsideOCULA‘s first writer-in-residence is Katya Pereyaslavska, project manager of the Accessible Texts Repository at OCUL’s Scholar’s Portal. She graduated from the University of Toronto’s iSchool with two years experience working as a student at the Ontario College of Art and Design University, the University of Toronto, the Art Gallery of Ontario, University of Chicago, and Harvard University. Katya also has an MFA in Art History from U of T, and enjoys collecting and dealing in fine art and mid-century modern jewelry. 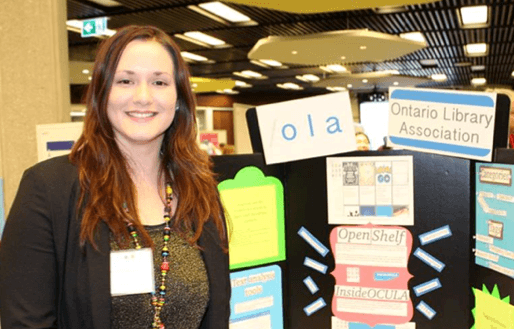 Jutta Treviranus, the director of the Inclusive Design Research Centre at OCAD University in Toronto, piqued my curiosity when she spoke about the future of libraries at OLA Super Conference this year. Her vision of libraries as maker labs, with their of-the-moment 3D printers and “one size fits one” philosophies of, were echoed by Mike Ridley last February during the University of Toronto Libraries Future Planning guest speaker series. Ridley spoke about how the demise of the Titanic was due not to an iceberg (drumroll!) but rather to technological innovations such as the airplane. The idea behind the analogy was the need to fail in order to regain our course as progressive institutions. Maker labs + failure = failure labs? That would be kind of neat! As I assist with the creation of a completely new OCUL service, the Accessible Content E-Portal or ACE pilot, the nagging fear of failure is at once thrilling and terrifying. As we build this important project, aimed to enhance the ability of university libraries in Ontario to provide barrier free access to textual resources for students and faculty with print-related disabilities, we need to remember that the pilot initiative is by definition a creative process of trial and error. This means a healthy focus on flexibility, adaptability and sustainability, as well as an emphasis on expertise. Building a highly collaborative infrastructure and ensuring that all its parts (people) fall into their right places is indeed a challenge. However, as every project has its own unique rhythms, the project manager must be attuned to the chaos in order to make sense of it. 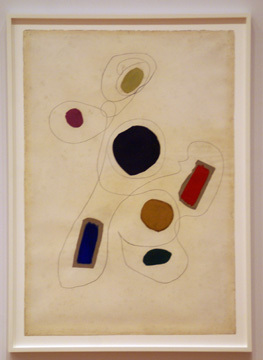 Making practical applications from an abstract concept is like looking at a Joan Miró painting and discovering an unexpected but meaningful connection between circles, triangles and squares. My goal for this year is to start discovering less conventional connections between forms, shapes, and maybe even people. After graduating from the University of Toronto’s iSchool, I came out into the real world with two years of experience working as a student in academic and special libraries in Toronto, Chicago and Massachusetts. To build additional expertise, I leapt at a wide array of projects and even ran my own library for two years at the Harry Potter-esque Hart House at the University of Toronto. What I have learned is that project management skills were essential to the roles to which I gravitated. The experience of building and managing a team of staff is about learning the art of compromise and negotiation, but also understanding human psychology. During my residency here at InsideOCULA, I will write about the evolution of the ACE pilot as our team at Scholars Portal works to ensure that this initiative will continue to grow and hopefully mature into a dynamic service, helping OCUL partners take on the role of “innovation incubators” and foster an environment of inclusivity. 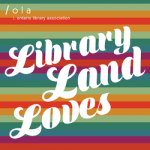 A radical love child of the Ontario Council of University Libraries and the University of Toronto, with support from the Government of Ontario, this initiative has many layers and challenges, such as the changing landscape of information in the digital age, which I plan to explore. Treviranus spoke about disability being a “disconnect between an individual’s needs and their environment.” This progressive view needs to be adopted by our institutions in order to help us focus on building all-inclusive study and work environments to accommodate a wide array of individuals who permanently or temporarily experience this divide from their environment. Perhaps these library maker labs could foster collaboration among users with diverse needs, librarians and programmers (to name but a few potential partners) to test our understanding of the physical and virtual spaces we live in. What we need is a fresh approach – a blank canvas and a few tubes of very bright and colourful paint. We need to approach the notion of inclusivity not in terms of providing an alternative for something else already in place, but as an opportunity to build anew for all of us, creating flexible and responsive environments which are easily customizable to user’s needs. The mechanisms for doing this are already in place; all that we really need is a space for imagination. 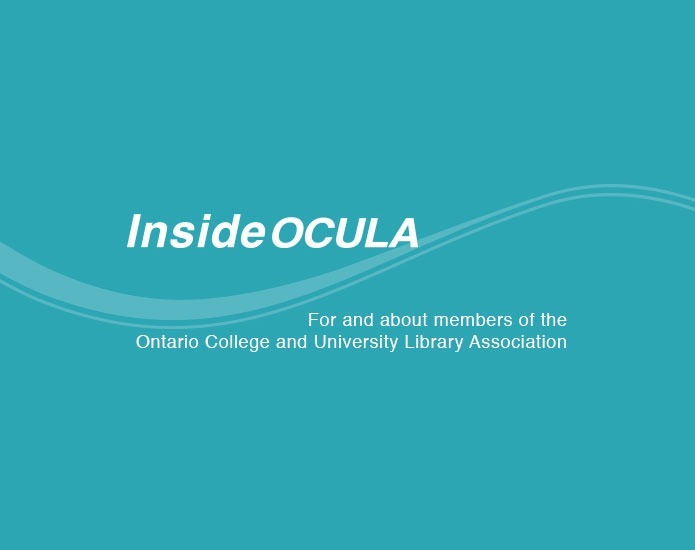 Interested in becoming an InsideOCULA writer-in-residence? Contact insideocula@gmail.com.